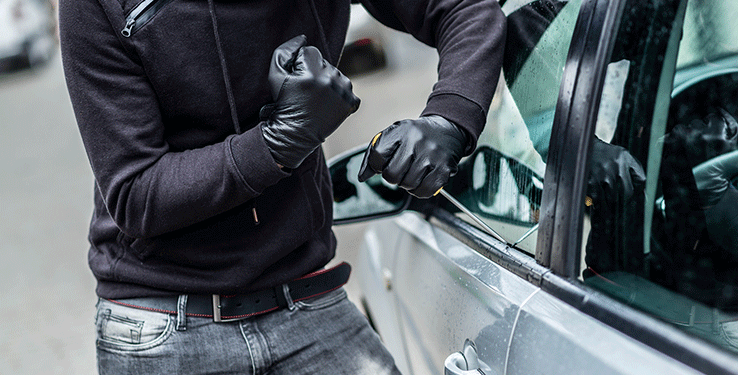 Most of us don’t think about car theft prevention until it’s too late. But the fact is, learning how to prevent a car theft is knowledge you need. Consider this: a vehicle is stolen every 44 second in the United States according to the National Highway Traffic Safety Administration (NHTSA). While 50 percent are recovered, that somewhat encouraging figure doesn’t tell the whole story. Also, most car thefts are not random. They are intentional and financially driven. Most cars are stolen to be sold for parts. They are stripped in a matter of minutes and left abonded, unmarked and unidentifiable. But car thieves are mostly opportunistic. They will not steal a car that takes much effort to steal. They want easy thefts, so let’s not make it easy on them, shall we? Whenever you park your car, even in your own driveway, close and lock the windows/doors to help prevent car theft. This seems like a basic security tactic, but we all know how easy it is to become complacent. Although it makes the first moments you enter your car a tad uncomfortable, resist the temptation to leave windows cracked during the summer. Just make it a habit to lock your doors all the time. Again, car thieves are opportunistic. They are hoping you make it easy on them. Parking in dark, private areas does just that. So don’t do it. Park in well-lit, public areas. The more people the better. And if there are security cameras around, park close. Thieves don’t like an audience, so the more people the better. Valuables offer even more incentive for thieves. Not only will they take your car, but they’ll take your possessions too. So keep valuables out of sight if you must leave them in your car. Secure items in your trunk or cover them to keep them from plain view. Roughly 40 percent of insurance companies offer a premium discount for vehicles that have an antitheft device. That’s because these devices go a long way toward car theft prevention. Thieves are looking for an easy target, one they can conquer quickly without drawing attention to themselves. Physical anti-theft devices include vehicle immobilizer systems that prevent thieves from hotwiring your car. California, Florida and Texas are the nation’s leading car theft states, according to NHTSA data. If you live in one of them, researching anti-theft devices could save you some money on car insurance and spare you the aggravation of a car theft. To learn more about protecting your car, contact your independent Provident Insurance agent. We serve Plainfield, Greenwood, Avon, Brownsburg, Indianapolis, Carmel, Zionsville and the entire central Indiana area. Stop in one of our convenient locations to discuss your insurance needs today. While insurance companies don’t have access to complete driving records, they can access basic information such as traffic tickets and suspended license information. Here’s how they use that information. When you apply for automobile insurance, the insurance company needs to assess your risk. They can measure your risk based on the information in your driving record. A lot of speeding tickets may mean higher insurance costs. Why? If you have had many accidents or traffic tickets, you are more likely than other drivers to get them again. Subsequently, you are more likely to have more claims than a driver with no (or fewer) infractions, so the insurance company may decide you are too risky to insure or simply charge you higher premiums. What is included on your driving record? In addition to any accidents or traffic violations that occurred within the past three years, your driving record also includes information about any criminal convictions associated with your driving record, such as DUIs, and any incidents in which you failed to appear at a scheduled court hearing related to a driving infraction. Your driving record also supplies your insurance company with information about any license restrictions, such as not being allowed to drive at night due to poor eyesight. Any prior license suspensions or revocations within the look-back period are also included. Luckily, even if your insurances rates go up due to poor driving record, it may not be permanent. Eventually your infractions will drop off the insurance summary and are no longer considered when determining your premium. If your insurance company has a review period of three years, for example, an accident you had in 2012 drops off your record in 2015 and, if you have no new collisions, your insurance rates decrease at your next policy renewal. If they don’t it’s worth asking about. To learn more about how your driving record impacts your insurance costs, contact your independent Provident Insurance agent. We serve Plainfield, Greenwood, Avon, Brownsburg, Indianapolis, Carmel, Zionsville and the entire central Indiana area. Stop in one of our convenient locations to discuss your insurance needs today. 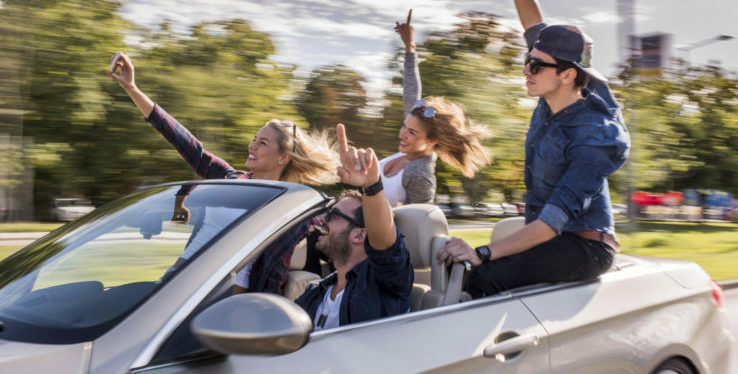 Depending on where you live and what vehicle your teen will drive, adding them to your policy can double your rates (or more). Teens are expensive to ensure. They just are for the simple fact that they are inexperienced drivers and prone to more accidents. So what is a parent to do? Here are some suggestions to reduce the costs. First, don’t let them drive. Driving is a privilege and if they don’t need to, don’t let them. Bikes, buses or good ol’ foot power may work to get your teen from point A to point B. But if they are licensed drivers you need to add them to your policy. If you want to keep them off, don’t get a license. If driving is a must, then consider the vehicle. New, fast, expensive cars will increase your rates. If you can restrict your teen to a single vehicle, that is best. And if that vehicle is plain-Jane, even better. If you are buying your teen a vehicle, think cheap. Good grades pay. Many insurance companies offer good student discounts, so if you want to lower your premiums, shoot for As and Bs. Big brother can reduce costs. No, not an older brother. Big brother as in…someone looking over your shoulder. Several insurance companies offer monitoring devices to keep tabs on young drivers. These systems can reduce your costs because the likelihood of accidents is far less. College-bound teens. If your child goes to college 100 miles away (or farther) you may get a discount because they are less likely to drive your vehicle. But if they take their car to school (and it’s in a small town or rural area) ask about discounts for geography. To learn more about the costs of insuring a teen driver, contact your independent Provident Insurance agent. We serve Plainfield, Greenwood, Avon, Brownsburg, Indianapolis, Carmel, Zionsville and the entire central Indiana area. Stop in one of our convenient locations to discuss your insurance needs today. Short answer, yes. Here’s why and how. In the 1990s, a few insurance companies starting using credit scores to create a “profile” of each person they insured. There are a number of other factors that also contribute to these profiles. Age, employment, where you live, income and driving record. After years of running the numbers and cross referencing against insurance payouts, many insurance companies followed suit and now all insurance companies use credit scores to help profile their customers. What they discovered is that people with low credit scores are more likely to get into accidents. Therefore a low credit score can and will increase your premiums. So what can you do? The best long-term solution – and one that will pay dividends in more areas than just insurance premiums – is to fix your credit score. There are many low-cost or even free credit-counseling services available in most communities and they work with folks with challenged credit to get things back on track. Not only will your insurance premiums go down, but also your ability to borrow money at a lower rate and qualify for other services will improve. It’s a win, win, win. So if you’re concerned about your credit score and what it may be costing you, consider a credit score makeover. It will save you big. To learn more about costs associated with your credit score, contact your independent Provident Insurance agent. We serve Plainfield, Greenwood, Avon, Brownsburg, Indianapolis, Carmel, Zionsville and the entire central Indiana area. Stop in one of our convenient locations to discuss your insurance needs today. If you’re in the market for a new car, you’ve probably already considered things such as styling, comfort, features and fuel economy. But have you thought about how much the car is to insure. 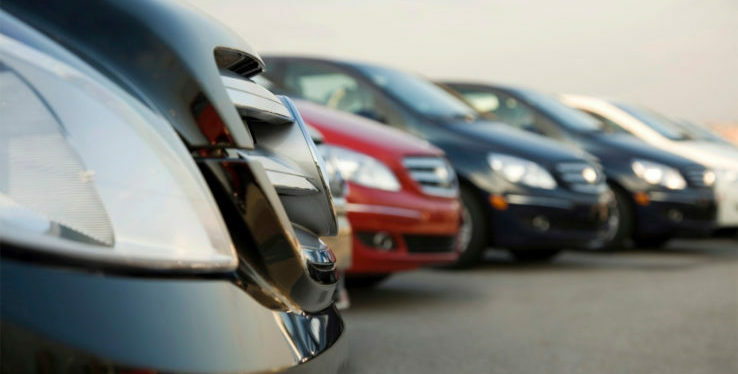 It may not be obvious but the type of car you drive has a major influence on insurance costs. Let’s review all the factors. Your auto insurance is based on many factors. When it comes to those factors directly related to the vehicle itself, insurance companies consider the make, model, and age. Specifically they are looking at the value of the vehicle; it’s size, purpose and lifespan. Insurance is all about estimating replacement cost. If you drive an expensive car, it will be expensive to insure. Even it’s pre-owned, high-end cars can be more expensive to repair and result in higher premiums. If you are on a budget and your insurance costs matter, then look to lower cost vehicles to keep your costs down. Sports cars have a higher incidence of accidents. It’s a fact. Therefore they are more to insure. Want a Mustang or Camaro with a big V8? Well, then be prepared for higher insurance costs. Sporty doesn’t always mean fast. Some cars with only 2 seats, like the Mazda Miata are considered sports cars even though they are not exceptionally fast. Finally, where you live and drive also plays a part in how much your insurance will cost. People living in urban areas where theft and accidents are more likely to occur will usually pay more in car insurance premiums than people who live in the suburbs or rural areas. Where you live also impacts your driving patterns. Commuting long distances to work, for example, puts your car on the road more often and for longer periods of time, increasing your chances of an accident. Likewise, living in rural locations reduces costs. To learn more about costs associated with your vehicle, contact your independent Provident Insurance agent. We serve Plainfield, Greenwood, Avon, Brownsburg, Indianapolis, Carmel, Zionsville and the entire central Indiana area. Stop in one of our convenient locations to discuss your insurance needs today. A vehicle’s overall safety is determined by its crashworthiness. In other words, its ability to reduce injury in the event of a major collision. Each year the Insurance Institute for Highway Safety (IIHS) performs crash tests on many vehicles and rates their ability preserve the safety of the driver and passengers. Things have changed quite a bit over the last 30 years. Several decades ago cars were built to prevent damage to the vehicle with little consideration for the occupants. Heavy bumpers and thick steel bodies and frames were employed to reduce the damage during an accident, which was great as long as there were no injuries. However, what insurance companies quickly figured out was that they were paying more in medical costs than they were to fix the vehicles and the medical costs were skyrocketing. Hence a new era was born. 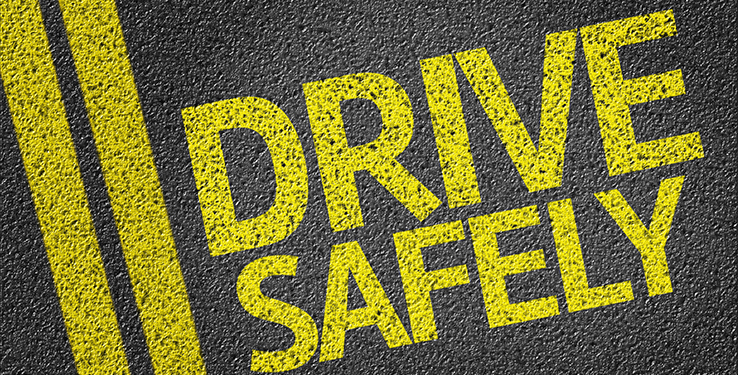 Over the last 30 years or so cars have improved immensely when it comes to passenger safety. Seat belts, headrests, airbags, driver alerts and more all work together to reduce injuries during a collision. But even with all the innovation there are some differences in actual, real-world results. And that’s where the IIHS comes into play. The IIHS awards the best performing vehicles with its Top Safety Pick award. These vehicles range in price and are not reserved for higher-priced luxury brands. But, if you’re looking for the lastest in safety technology such as lane-change and blind-spot indicators, you may have to spend more to get it. To learn more about discounts available for safety technology, contact your independent Provident Insurance agent. We serve Plainfield, Greenwood, Avon, Brownsburg, Indianapolis, Carmel, Zionsville and the entire central Indiana area. Stop in one of our convenient locations to discuss your insurance needs today. 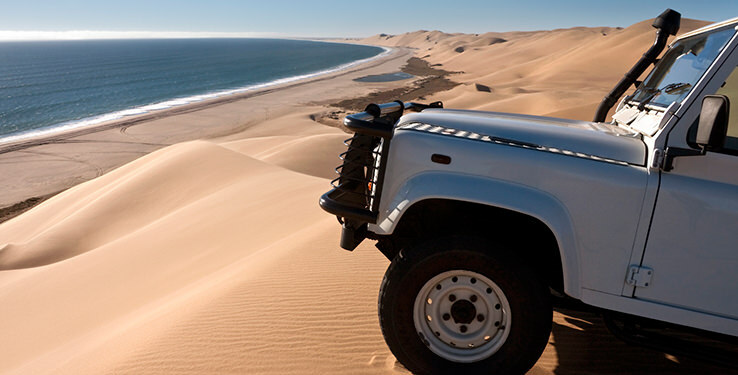 It’s not uncommon to have a vehicle that isn’t driven very much. Maybe it’s an extra car or truck that is used only occasionally or maybe you simply don’t drive your only car very often. Regardless, you may find yourself questioning whether it’s worth insuring a car that very rarely sees the road. So, should you insure it? Absolutely, without out question, YES. All cars that are driven on the road should be insured. Your state may even require it. But even if it’s not legally required, it’s simply a good idea. Accidents happen, whether your fault or not. And insurance is there to protect you. But ultimately you need to make good financial decisions. Maybe it’s worth considering getting rid of any vehicles that aren’t driven very often. Is it worth it to insure them? If you only drive a car a few times a year, but it costs $500 to insure is it worth it? That is a decision only you can make. If it is a collectible car and you enjoy it, then the answer may be yes. But if there is no value in keeping an extra vehicle, perhaps it’s time to shed all the expenses of ownership and get rid of it. Insurance is about good financial decisions, and that means deciding if it’s worth keeping the vehicle at all. If you keep it, insure it. There are cost-cutting ways to reduce your insurance premiums, so be sure to ask about those. To learn more about available discounts, contact your independent Provident Insurance agent. We serve Plainfield, Greenwood, Avon, Brownsburg, Indianapolis, Carmel, Zionsville and the entire central Indiana area. Stop in one of our convenient locations to discuss your insurance needs today. The short answer is no, but maybe. Many drivers will experience an accident at some point in their life. It’s unfortunate but true. If, and when, an insurance company decides to cancel a policy is based on many factors, but mostly involves the individuals driving history. If the driver has a record of accidents, speeding and poor driving, there is a good chance the policy will be cancelled. At the very least, his or her premiums will go up. So what that means to the average driver is that a single accident generally does not lead to a cancelled policy — particularly if the accident wasn’t his or her fault. Insurance companies generally never penalize customers for accidents that aren’t’ their fault. There are exceptions to this, but they are rare. In short, if your policy is cancelled it’s because the amount of risk is too great. So to prevent this, be a safe driver. Be alert. Be cautious. Wear your seat belt. Drive the speed limit. Drive defensively. Simply don’t cause accidents. That’s the best plan to lower rates! Do I need special coverage for an antique car? Yes you do. Especially if you drive your antique car. Any vehicle on the road should be insured. If not for your protection, for the protection of other people’s assets. If you hit someone else, it’s your insurance that will pay for the damage to their car and for their medical bills. Antique cars require special insurance. A rare car isn’t like a modern sedan. You just can’t repair it in a few days like you can a newer car. Antique cars may be so rare in fact that they could be rendered unrepairable. That is where specialty insurance comes in. But there are some factors that come into play. Insurance companies have definitions for collectible or antique autos and those definitions may vary from company to company. However, most agree that an antique auto must be at least 25 years old. 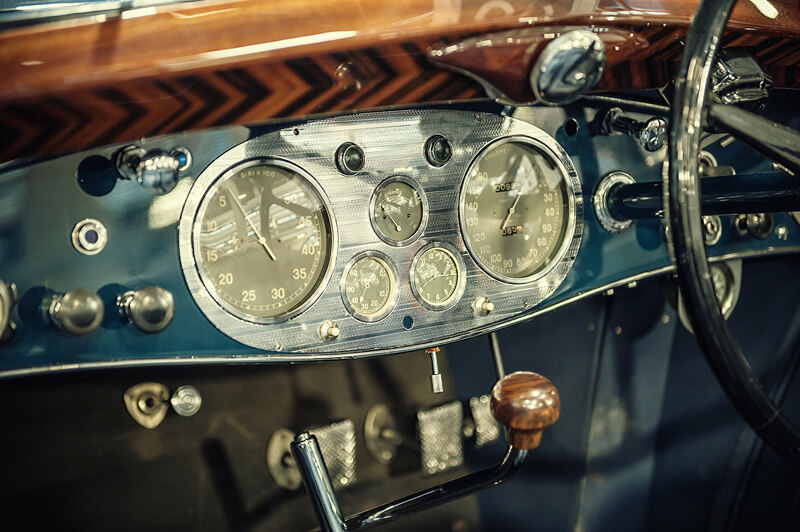 Your antique or classic car must be used on a very limited basis, such as exhibitions, club activities, and parades or limited to certain annual mileage. You need to have restored, maintained, or preserved your antique or classic car – meaning you must demonstrate you have taken care of it – not let it rot in a field. To learn more about insuring your antique or collectible car, contact your independent Provident Insurance agent. We serve Plainfield, Greenwood, Avon, Brownsburg, Indianapolis, Carmel, Zionsville and the entire central Indiana area. Stop in one of our convenient locations to discuss your insurance needs today.